While many of you are already back home and settled in after GUADEC this year, I’m still scrambling around from hostel to hostel and city to city (or rather from town to town ?) in Europe. So a few words about GUADEC are owed, as usual it was great to meet face to face with more people I usually only work with on IRC or communicate with by email, I met a few new faces this year (specifically Matthew Barnes and Milan Chra from the Evolution team) which was really nice. This fantasy of mine quickly disintegrated shortly after, when I realized that GUADEC had started without me, one entire day earlier than I had booked my flight & room for the dorms. Happily, I ran into the Collabora Kids (Montreal Chapter) on the street while trying to use some wifi at the local grocery store (as wifi was not available at the dorms), and then was lead down to a bar where most of the GUADEC people could be found (Thanks for finding me !). So the rest of GUADEC went as expected, there were talks, I gave my talk about the new composite templates feature in GTK+, and on how this will help us to guide developers of GTK+ applications to create cleaner, more modular and more deterministic code using composite widgets. It was also my goal to point out how this has been sorely needed over the years which GTK+/Glade/libglade/GtkBuilder has evolved. My criticism towards myself is that I think I talk a bit slow, but hopefully I managed at least to get all my points across to the audience. There was of course plenty of face-to-face conversations, and plenty of late night beerings, Federico informed me of the tradition of SMASH (Single Malt Appreciation Society… Something beginning with ‘H’), I’m not sure if the H really stands for something or if you are supposed to be too drunk to care by the time you get to ‘H’, but we proudly kept up the tradition with a bottle I purchased in one of the airports on the way to Brno. We even wrote code ! I know I know, we write code all year round, sitting in various parts of the globe, hanging out on IRC, so the last thing you would expect to do at GUADEC is write code, right ? But near the end we did have a bit of a live hacking session on Glade with Juan Pablo, Kalev, Miguel and I (Kalev wrote the new support for GtkListBox which we reviewed, touched up, and pushed upstream, Miguel is new to writing code in C/GObject and we guided him with fixing an annoying bug in the signal editor). 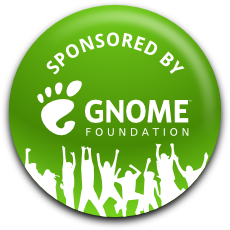 All in all this was a pretty productive GUADEC and I’m very thankful to the GNOME foundation for sponsoring my trip to get here, thank you !